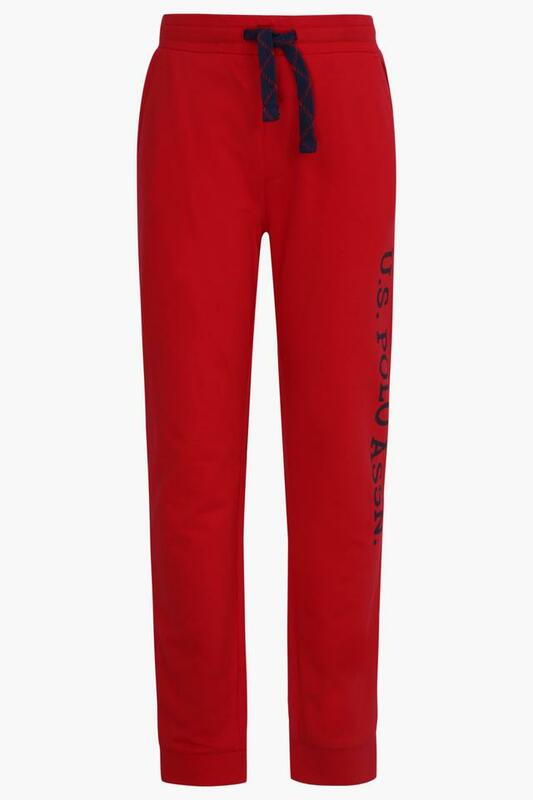 Revamp your little one's wardrobe by adding this pair of cool track pants from U.S. Polo Junior to his casual wear collection. 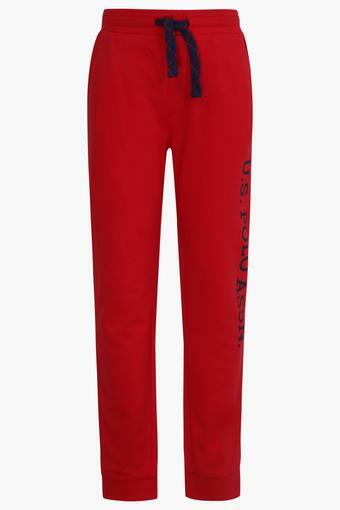 Sporting a graphic print, this track pants are made from good quality fabric and is sure to appeal to him. 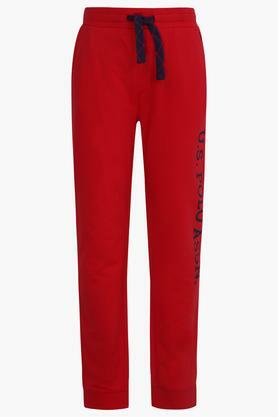 Besides, it also comes with a drawstring closure, which is convenient to wear. 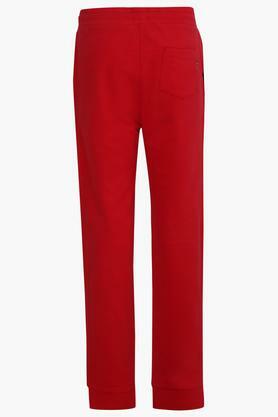 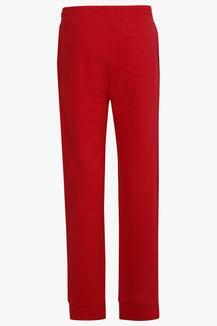 Stylish to look at, this pair of track pants will be a perfect choice for your little prince. Let him team this with a trendy shirt and a pair of sneakers for casual occasions.